Anyone who thinks small, fluffy dogs were bred to be lap warmers, doesn't know Rocco! Rocco may be small, and he may be a fluff ball, but he's all dog, just like his ancestors who had to forage and hunt for their own food. That's why I was pretty darn sure he was going to love the PAW5 Rock 'N Bowl, even before he tried it. Rocco loves his enrichment activities. 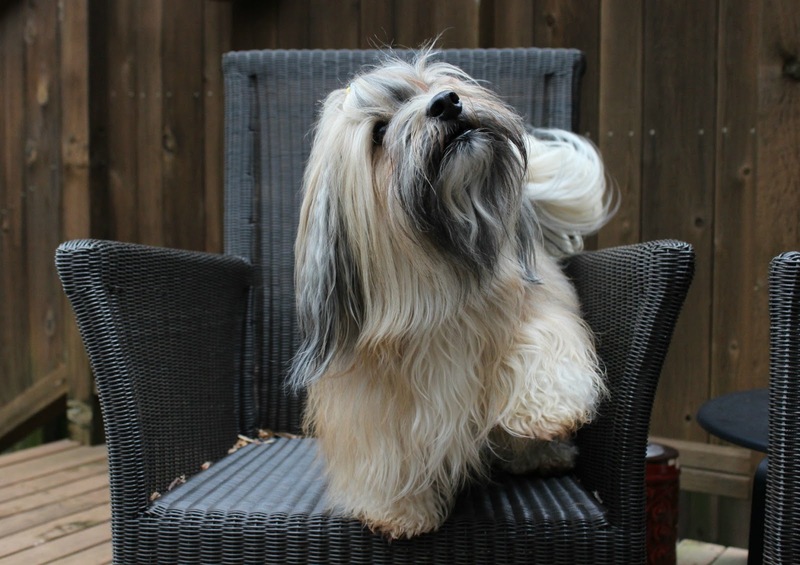 Agility, hiking, playing hide 'n seek... these all make Rocco a happy and well adjusted dog. The PAW5 Rock 'N Bowl makes Rocco smile. But don't let his sweet face fool you. Take a look at him in action! 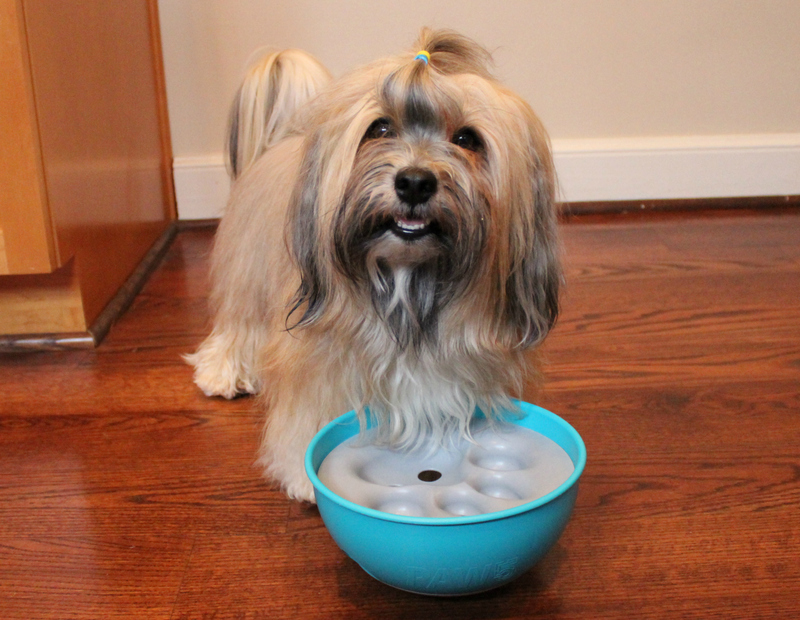 Rock'n the new Rock 'N Bowl from @paw5.us! Find out more #ontheblog and at #paw5launch Twitter party! Rocco loves to attack this bowl, working for every last drop of food. 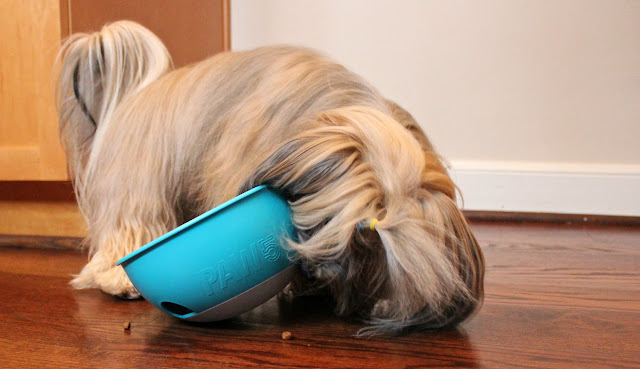 And that's what it's all about.... giving your dog an entertaining, enriching experience at mealtime that enhances their overall well-being. How many ways can you say this bowl rocks! 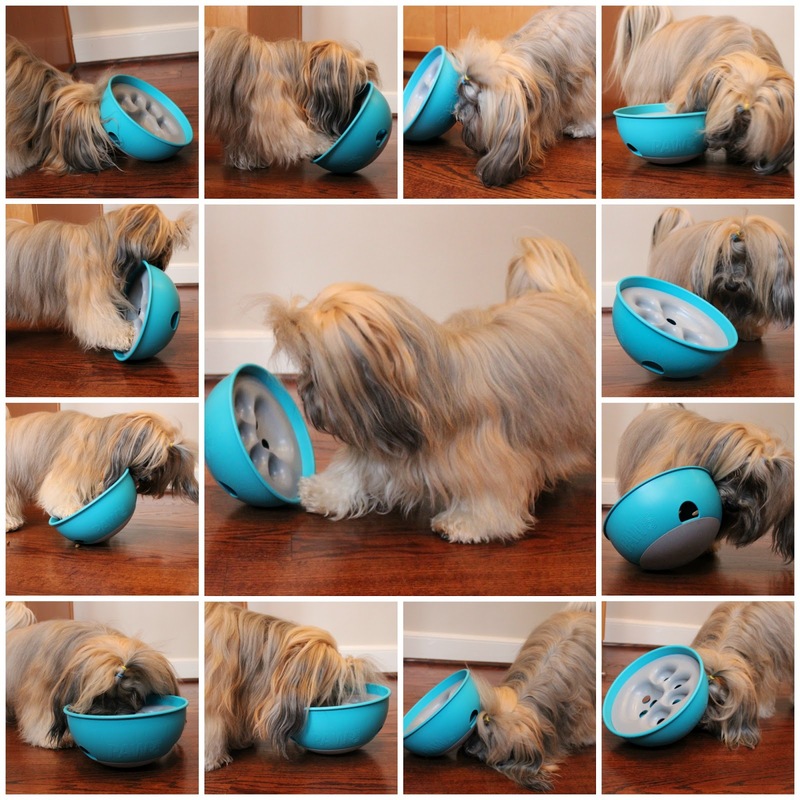 Every PAW5 Rock 'N Bowl is made in the USA, with FDA-compliant, recyclable plastic that is free of BPA and phthalates. PAW5 is committed to sustainability and uses a manufacturing process that results in almost zero waste. Learn more about PAW5's approach here. Dogs are wired to forage and hunt for food -- it's in their DNA! The Rock 'N Bowl adds environmental enrichment to their daily routine, building off their natural behaviors and instincts, and turning a 30-second, mindless chow down into an engaging, thought-provoking, playtime puzzle. And most of all, Rocco says it's super fun to make the bowl rock and roll, causing every last tasty morsel of food to drop out! Rocco gives the PAW5 Rock 'N Bowl a high five! Win a Rock 'N Bowl! 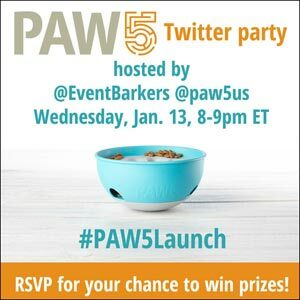 Learn much more about the Rock ‘N Bowl at Wednesday’s #PAW5Launch Twitter party! Please bring your questions about the bowl and enrichment activities to the party; an expert from PAW5 will be on hand to answer your questions. You’ll also have the chance to win your own Rock ‘N Bowl (and some great gift cards) throughout the party as we give them away every few minutes. To RSVP for the party or to enter the pre-party giveaway (you don’t have to attend the Twitter party to enter), be sure to check out our #PAW5Launch RSVP post! We are working with PAW5 through our partnership in Event Barkers to produce this Twitter party and share product news with our readers. Prizes will be provided and shipped by PAW5. At To Dog With Love, we only share information we believe in. All opinions expressed herein are our own. Looks awesome! Can't wait to try one! It's LOTS of fun! I think you'll LOVE it!